Paid Time Off (PTO) Entry Due – December 14: Enter all PTO into Workday by Friday, December 14 to ensure 2019 PTO balances will be accurate. 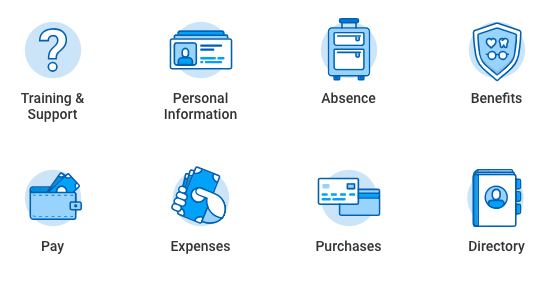 Your 2019 PTO balance will be viewable in Workday January 1 for exempt staff and January 12 for non-exempt staff. Final Pay Date – December 21: December 21 is the final 2018 pay date for Reynolda Campus faculty and staff paid both biweekly and monthly. Winter Break – December 24-31: University closed. Departments may offer administrative leave for early dismissal December 21 at 3:00 p.m. or two hours before the end of the regularly-scheduled shift. New Year’s Day – January 1: University closed. 2019 Reynolda Campus holidays may be found on the Human Resources website. Benefit Elections Effective – January 1: Your 2019 benefit elections will be effective January 1. You may view your 2019 benefit elections via Workday by completing the steps below. Note you cannot view your benefit elections at this time using the Workday mobile app. Wellbeing Incentive: The University will offer a 2019 wellbeing incentive for faculty and staff medical plan participants who complete the required steps through Wake Forest Baptist Health.